Assembly Speaker Sheldon Silver now says he will support Caroline Kennedy if she's appointed to the Senate by Gov. David Paterson. New York's second most powerful Democrat now says he will support Caroline Kennedy if she's appointed to the Senate by Gov. David Paterson, according to an exclusive interview in the New York Post. "I have determined there's a good possibility she will be the appointee of the governor," Assembly Speaker Sheldon Silver told The Post. "If she is the appointee of the governor, I will certainly be supportive of her. I will work for her and will work strenuously for her election." The comments mark a significant change of position for Silver. Just last week, he said he was unhappy with Kennedy's less than perfect support the Democratic candidates who'll run against Mayor Michael Bloomberg this year. Kennedy's supporters include Bloomberg, a Democrat-turned-Republican-turned-independent who is another important ally for Paterson. The mayor was coy about that support today. Gov. 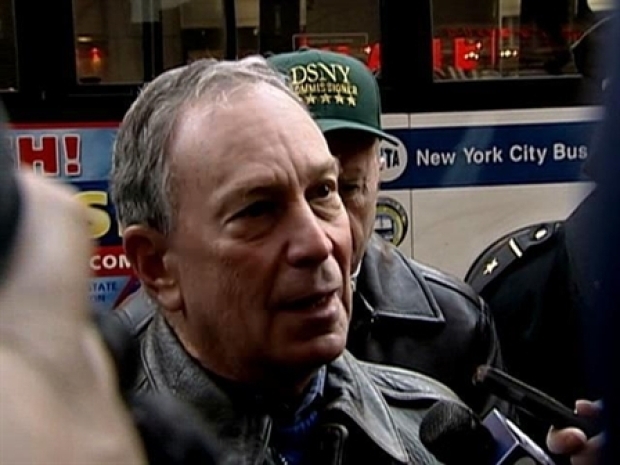 Paterson "has the opportunity to pick among some great candidates," Bloomberg told reporters as he watched the Times Square clean-up this morning. "I know most of the people who's names have been mentioned." Silver had cautioned Paterson, saying, "If I were the governor, I would look and question whether this is the appointment I would want to make... Whether her first obligation might be to the mayor of the city of New York rather than the governor who would be appointing her." It's been three weeks since Kennedy said she was interested in the seat expected to be vacated by Sen. Hillary Rodham Clinton, President-elect Barack Obama's choice for secretary of state. Two weeks ago, she took a quick upstate tour to talk to mayors, but barely spoke to the press. Mayor Michael Bloomberg thanked sanitation workers for their dedication after New Year's clenaup and said he would "wait and see" how Gov. Paterson picks to fill the Senate seat to be vacated by Hillary Clinton. Critics, including some Democrats, compared her lack of government experience to Alaska Gov. Sarah Palin's much-maligned credentials as a Republican candidate for vice president. Kennedy, who has cultivated her privacy as a lawyer, author and advocate for public schools, sought the job after Clinton was nominated by Obama to be secretary of state. She is one of several hopefuls seeking appointment by Paterson to the two years remaining on the term.